Do You Feel Empty, Exhausted and Unmotivated? Do you no longer care about the people or activities you used to? Are you feeling hopeless of ever feeling like your life has meaning? Find it difficult to get to sleep, stay asleep, or wakeup? Have thoughts of ending your life? You may feel like your head is in a fog and you cannot “snap out of it.” Maybe you feel guilty about the ways you believe you have disappointed yourself or others. Perhaps you find yourself angry, irritable or overwhelmed by distressing thoughts and emotions and riddle yourself with self-criticism. You may find it difficult to experience any sense of joy, hope, or meaning in your life, but you don’t necessarily feel sad—just flat. This type of experience may be so normal to you that you never considered it a problem. Alternatively, you may be racked with feelings of despair, deep sadness, and harsh self-criticism over minor failings. Just surviving from one moment or interaction to another can feel like climbing Mt. Everest. Do you want to believe that it’s possible to feel better but question where you can turn for guidance and support? One of the most insidious aspects to depression is that isolating oneself from others can feel like the only solution to the problem. If interacting with your friends, partner, or family feels like something you have to force yourself to do and only results in feeling depleted afterwards, then it makes sense to want to retreat. Unfortunately, this solution tends to only make matters worse over the long haul. Depression is not uncommon. Close to 1 out of 10 adolescents & adults in the United States have been depressed in the past year. Depression symptoms are very real to the sufferer, but people living with depression can often ‘pass’ as though everything is OK since there is no obvious sign to others that they are depressed. As a result, many individuals suffer in silence, feeling too hesitant, guilty or ashamed to get the help they need. There are multiple—often overlapping—reasons why people become depressed. You may be having current or past relationships where you don’t feel understood and valued. Maybe you have a history of depression in your family. Or, you may be going through stressful life events that have left you feeling helpless to take control of your emotions and situation. The good news is that depression therapy can help you understand why you are struggling and take steps to find relief and meaningful, lasting healing. Whatever led to your experience of depression, an experienced, trained therapist can help. In addition to extensive research, I have seen in my own clinical experience how effective psychotherapy can be in helping you recover from depression. Psychotherapy allows you to figure out what makes your depression symptoms worsen or improve. Once we identify the rhyme and reason of your depression, we can then address what might be holding you back from seeking more positive, empowering experiences and relationships. During our sessions, we will work together to understand the problems that have contributed to your depression. By putting words to your feelings and sharing your experience with a compassionate therapist who understands what you are going through, you can become less overwhelmed by depression and feel better prepared to respond to distressing emotions and physical symptoms. For example, your depressive symptoms may worsen when you interact with “friends” who talk at you for long periods of time and never show interest in your life. Maybe you feel guilty because you believe it is selfish to do anything but dutifully listen to your friends’ problems. Over time and with the right guidance and support, you can learn to challenge this belief and feel justified in seeking relationships where you feel accepted and valued for who you are. Instead of feeling like your entire life is marred by depression you can identify specific situations that either improve or worsen your mood. We can explore how you understand the situations that worsen your depression and learn to recognize negative self-thoughts, such as blame and self-criticism, that are adding to feelings of hopelessness and distress. Of course, nobody chooses to believe bad things about themselves, but we can often come to these conclusions following disappointment, loss, or unhealthy messages we have received in prior relationships. In depression therapy, I provide a safe space where you can feel comfortable sharing how you came to your conclusions about yourself and decide which conclusions work for you and which do not. Over time, this process of self-discovery and self-awareness can help you restore a sense of control and pleasure in your life. You can see how withdrawing from social settings can actually leave you feeling more isolated rather than helping you avoid distressing thoughts, emotions and physical symptoms of depression. You may believe the only safe way to be with other people is to minimize your own troubles and focus on the other person. This may seem like the ‘right thing to do’ but neglecting your own needs can leave you feeling unfulfilled and inauthentic in your interactions, as though you are hiding a part of yourself. 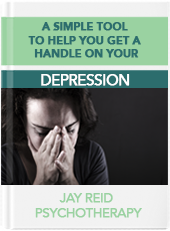 In depression therapy we can identify those ‘solutions’ that are failing to provide the relief you need and understand how these strategies were developed. 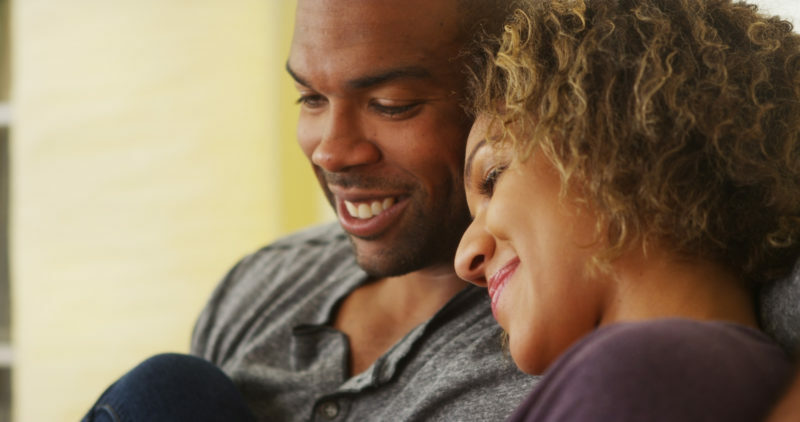 Together, we can develop relationship techniques and practice communication skills that you can use to feel more confident, secure, and fulfilled in your relationships. You can learn how to tell a trusted friend or partner honestly how hard depression feels without feeling embarrassed, ashamed, or guilty about doing so afterwards. With depression counseling at my office in downtown San Francisco, you can explore your experience, reconfigure how you participate in relationships, and find more real satisfaction in your interactions. I feel so hopeless—I’m not sure that therapy can ever work for me. Depression often results in hopelessness. It can feel like nothing will help, and you may wonder what the point is in trying? It is important to understand that these feelings of helplessness and doubt are a part of being depressed, but that doesn’t make them true. In my own work I have seen that no matter how hopeless you may feel at the beginning of therapy, you can restore a sense of purpose and meaning in your life. I would rather take medication than talk to a therapist. It is understandable to consider medication as an alternative or supplement to therapy, particularly if you have tried psychotherapy in the past and didn’t find the relief you needed. There are many reasons why psychotherapy can feel unhelpful. Perhaps you didn’t feel like you had the right connection or fit between you and a former therapist. But, research suggests that psychotherapy is as effective as medication when you find a therapist with whom you feel safe and understood. And, for individuals with histories of childhood trauma, depression counseling may be even more effective than medication. In some cases, it can be beneficial to consult with a psychiatrist to see if antidepressant medication might be a help in your recovery from depression. If you choose to take antidepressants, I like to work closely with your prescribing doctor—with your permission—to ensure you are receiving the most informed level of care possible. For years, I have been helping individuals overcome the bleakness of depression and foster a more satisfying life experience. If you are ready to gain an ally in your struggle with depression – someone who can put themselves in your shoes and provide warm, empathic guidance and support – I invite you to contact my office in downtown San Francisco at (415) 944-3628 or email me to schedule a complimentary 15-minute phone consultation.